Eco-friendly businesses are becoming more common. This is because more consumers are demanding that companies behave in a socially responsible way. An eco-friendly business minimizes waste, uses all resources efficiently, and minimizes negative impacts on the environment. Start the green revolution in your own small way with these nine eco-friendly business ideas. Consumers are becoming increasingly aware of the food they eat. They are becoming more reluctant to buy processed and packaged food products because of their negative impact on health. You could start your own catering business that focusses on organic and locally grown ingredients. To appeal to nature lovers and health and wellness enthusiasts alike, you could offer, say, free-range meats along with vegan, gluten-free and paleo-meal options. Global sales of healthy food products, in fact, are estimated to reach $1 trillion by 2017, according to Euromonitor. Things need cleaning, from laundry, to vehicles. Now, more than ever, people are more environment-conscious. They are more sensitive to what goes down the drain and want to be able to get the sparkle without straining the environment. As such, you could consider selling eco-friendly cleaning products. For example, you could offer a complete line of natural cleaning products for laundry, washing dishes, and household cleaning. The demand for cleaning services is still growing, especially in areas of commercial and residential cleaning. Going green is also a great marketing strategy for a cleaning business. You can try making your own organic consumer products such as cream, soap, or other cosmetic and cleaning items using natural ingredients. Local markets and events are a good place to sell. You could also start an online store. Before marketing it to consumers though, be sure to test it yourself. A grease trap/interceptor is a plumbing device designed to intercept most greases and solids before they enter a wastewater disposal system. The grease trap industry is forecast to grow steadily over the next five years until 2022. Transportation is another venue of change. Increasingly high prices at the pump have increased the need for people to go green. Opting to use the bike instead of driving a short distance has three benefits. First, it improves health. Secondly, it saves money. And lastly, it is environmentally friendly. Like most modes of transportation, bicycles occasionally need a tune-up. This is where you come in. You could open a business specializing in bicycle repair and refurbishing. You could even rent out bikes and scooters. Traditional energy does not come cheap. It also creates pollution and isn’t sustainable. Unlike non-renewable energy sources harvested from the earth, solar energy is virtually unlimited and completely renewable. Even your yard can make a difference! Eco-landscaping is a method to design, create, and maintain your landscape to save energy, money, and time. Green landscapes make healthy recreational spaces by reducing water, soil, and air pollution. Your business could focus on making homeowners make their yards literally and figuratively greener. Green consulting is a business idea whose time has come. This is because more individuals and businesses want to become greener but don’t know how to go about it. Governments have also realized that our impact as humans also contribute to global warming. Green consultants help organizations evaluate and improve their internal practices and processes in terms of environmental impact. Training of employees in proper environmental management practices, including how to avoid contamination. Media and public relations – effectively informing the public and role players of the extent projects have on the environment. Planning and permission – some projects need permission from environmental agencies before their implementation. Developing new processes, equipment, and facilities. This is the practice of creating structures and using processes that are eco-friendly throughout a building’s life cycle, from construction to demolition. Many opportunities exist. Thousands of houses are being built every year, and construction companies are increasingly becoming interested in sustainable building techniques. 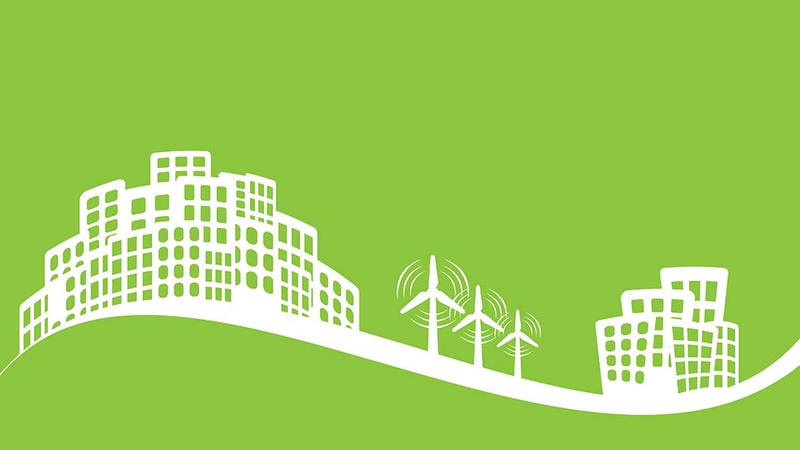 In fact, one study found global green building is likely to double this year. You could start a business focused on selling green products. Anything from wood items to water-saving toilets can become a moneymaker. Society is increasingly recognizing the need to go green. Entrepreneurs should seize the opportunity and start a business that not only mints profits for them, but also benefits the consumers and the environment. Stephen Fox is the co-founder and Chief Marketing Officer at Upkeep Media Inc., a digital marketing agency specializing in SEO, content marketing, and social media marketing for local service businesses. If you would like to connect with him add him on LinkedIn.